RURAL and regional Australians tend to have poorer outcomes when it comes to surviving cancers like non-small cell lung cancer (NSCLC), but telehealth measures and an adaptation of a Health Pathways program can improve things, say experts. Research published in 2014 in the ANZ Journal of Surgery found that patients who lived more than 100 km from the nearest hospital with specialty thoracic surgery service were more likely to have no surgery (50.6% of patients) and were more likely to attend general hospitals for their care (52.2% of patients). The research authors recently published an editorial on their work in the MJA. “In NSW, lack of surgical treatment fully explained the lower rate of survival from lung cancer observed in patients living farthest from an accessible thoracic surgical service. 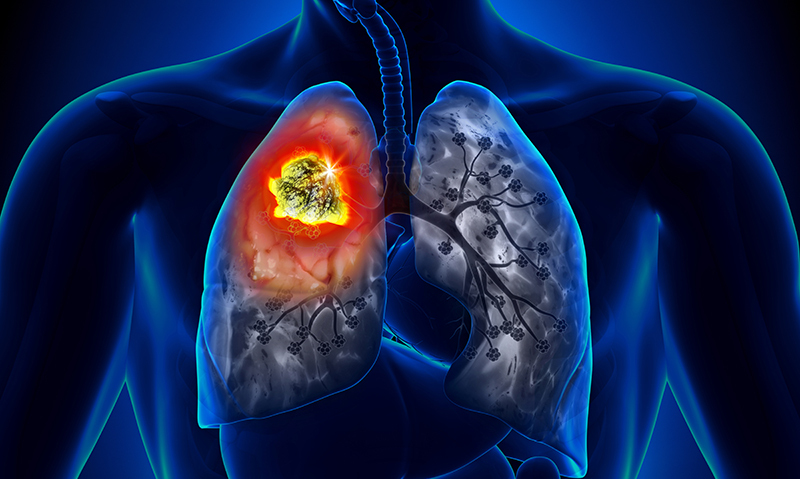 Thus, distance from specialised surgical services puts NSCLC patients at a significant disadvantage,” they wrote. Professor Lucie Walters, President of the Australian College of Rural and Remote Medicine, said there needed to be further investigation to ascertain the reasons for such a discrepancy. “We need to understand how much of this discrepancy is related to lack of knowledge, lack of access or differences in patient priority particularly related to connection to family and their own community,” she told MJA InSight. Related: MJA — How can we ensure that people with lung cancer living in rural and remote areas are treated surgically when appropriate? Related: MJA — Metastatic non-small cell lung cancer: a benchmark for quality end-of-life cancer care? Dr Ewen McPhee, president of the Rural Doctors Association of Australia, said that the rural patient’s pathway from diagnosis to appropriate care was still very difficult, particularly for public patients. Dr Elizabeth Tracey, co-author of the MJA editorial and an epidemiologist from the University of Newcastle, told MJA InSight that these pathways are particularly important to ensuring better access for lung cancer patients. In 2011, a Health Pathways program was implemented in the NSW Hunter New England area (HNE) which was modelled on a successful program in New Zealand. This collaborative initiative aimed at promoting clear pathways between primary and secondary health providers. The Lung Health Pathway was first implemented in HNE in 2014, providing GPs with clear local referral guidelines which recommended that patients be referred to a respiratory physician-run specialist lung clinic. “There are even certain cases, such as when a patient is found to have an adenocarcinoma of the lung, where the pathologist can refer tumour tissue directly for molecular testing (reflex testing) instead of sending the patient’s pathology diagnosis back to the referring clinician,” she said. Her co-author, cardiothoracic surgeon Professor Brian McCaughan, agreed that early referral to a specialist centre gave the best chance for survival; however, it didn’t necessarily mean that the patient had to travel for diagnosis. “In a lot of cases with lung cancer, much of that can be done with the radiology, so the patient can be assessed with a form of telemedicine,” he explained. Dr McPhee agreed telemedicine was something being used more often in rural areas and showed that people didn’t need to travel hundreds of kilometres to access specialists. He pointed to Associate Professor Sabe Sabesan’s research in the MJA which showed that teleoncology can be an effective treatment option for rural people needing chemotherapy. However, he said there needed to be more support for the people who are on the ground. Professor McCaughan said that there is generally a nihilistic view about lung cancer and that some rural and remote patients don’t know about the possibilities of care that are available. “Some patients are never given the opportunity to access surgery when it’s appropriate. It is a fairly dismal disease but there are a number of patients who can be cured. We just can’t take the view that no one can be fixed,” he told MJA InSight. He said that even when surgery wasn’t appropriate, there were other treatment options available in specialist lung cancer centres that were giving greater hope. “There are treatments that are now available for lung cancer that were never available before, so people who previously would have only lived months are now living years with treatments other than just surgery. Do you believe the ALP will lift the rebate freeze if elected?